There’s a “new” $4B startup today. A consumer hardware company called FitBit started trading on the Nasdaq this morning and it’s an impressive success story. We’ve examined the tremendous revenue growth GoPro experienced in a previous post. Impressively, FitBit is growing faster. 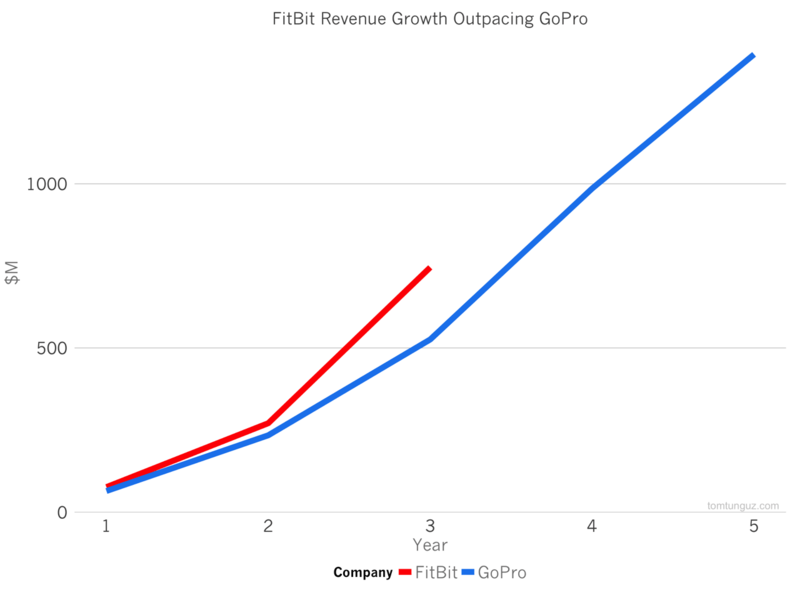 As the chart above shows, FitBit grew from $14M to $76M to $271M to $745M in revenue in four years, generating astounding growth rate of 170% per year. 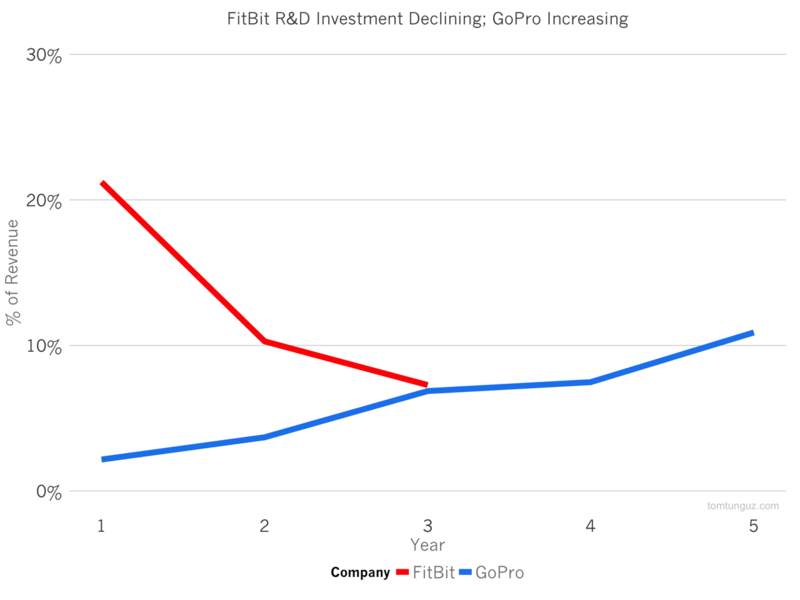 Of late, FitBit ’s growth rate has begun to outpace GoPro’s growth rate. 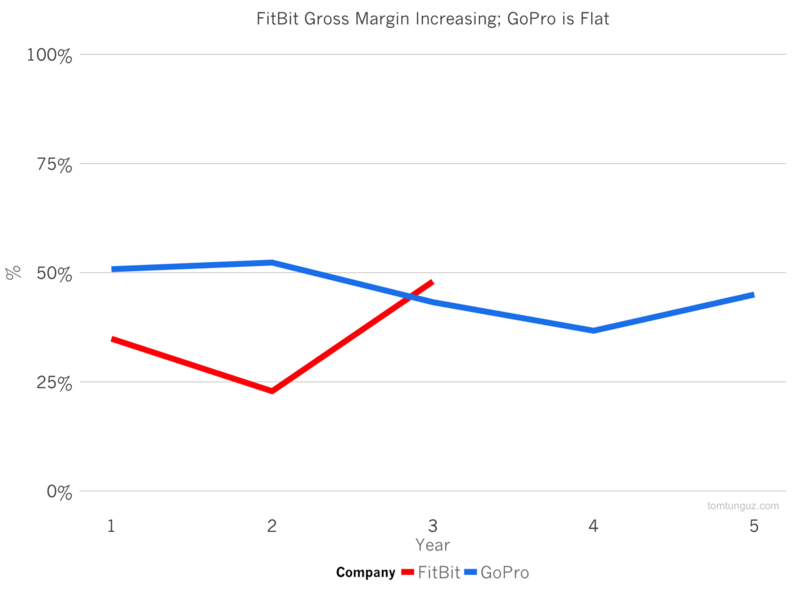 FitBit, which sells a range of fitness trackers at around $100 price point, operates at roughly the same gross margin (50%) as GoPro, though FitBit’s margins are rising, while GoPro’s are flat. 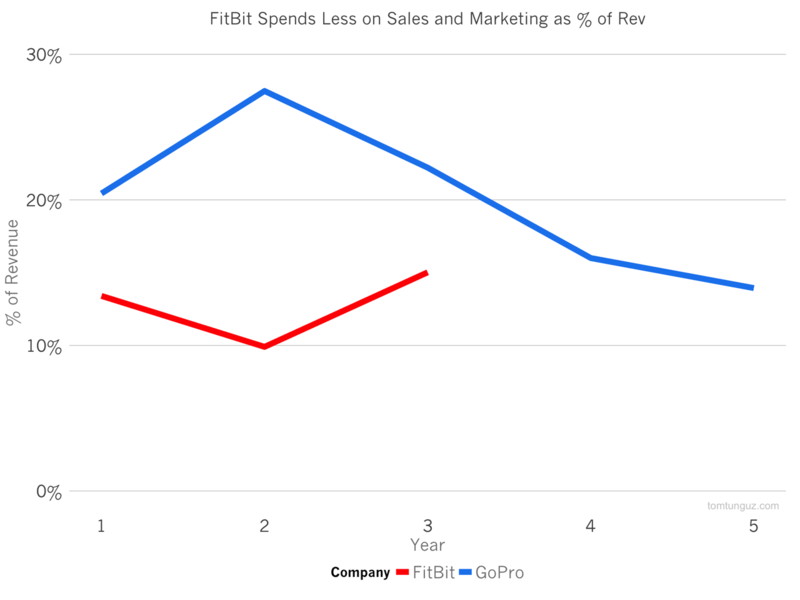 Impressively, FitBit spends about 10% points less in sales and marketing than GoPro to achieve a faster growth rate. And the company invests less in Research and Development. GoPro’s R&D spend has increased of late, presumably driven by increasing competition in the marketplace, forcing the company to develop differentiated products. This is a challenge that FitBit also faces from Apple’s Watch and other fitness trackers. And, in terms of cash, both companies are operating at roughly the same level: roughly 1 to 3% cash from operations as a percentage of revenue. 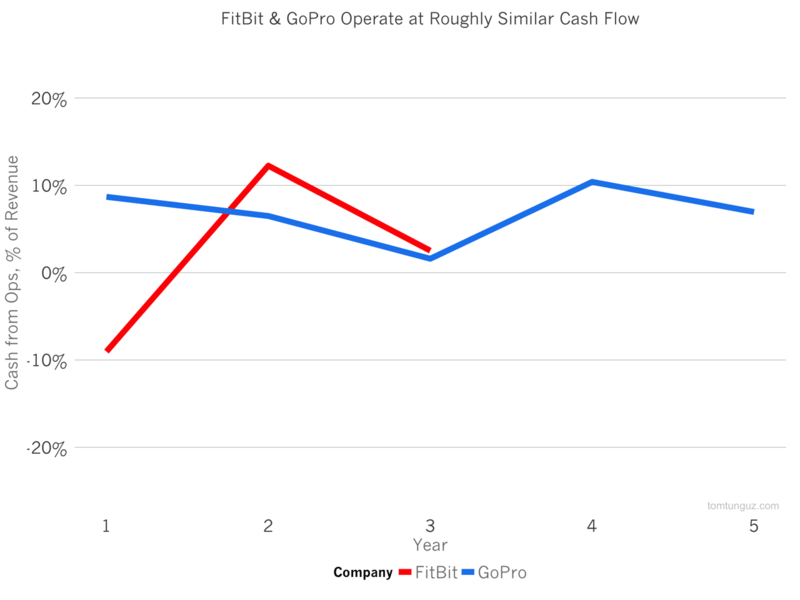 In summary, both FitBit and GoPro have created massive consumer hardware companies that sustain incredible growth rates while generating profits. Both companies have faced substantial competitive pressure to differentiate their products, and outmarket and outsell their competition. These two companies are among the first winners in the venture-backed consumer hardware world, a trend that is very likely to continue.